Combier Gomme syrup is a concentrated sugar syrup which has the added ingredient of gum arabic which acts as an emulsifier. Gum arabic is a naturally occuring product that is harvested from the sap of certain plants The advantage of using gomme syrup over the more usual simple syrup is that, especially in heavy-alcohol cocktails, it adds a silky texture and softens the alcohol's flavor. It also prevents the syrup from crystallizing. Related links to "Sirop de Gomme"
Customer evaluation for "Sirop de Gomme"
This is really practical thing. I just pour absinth in glas, add cube of ice, little sirup and top it off with water. it\'s prepared really fast and goes especially well with swiss (white) absinthes. 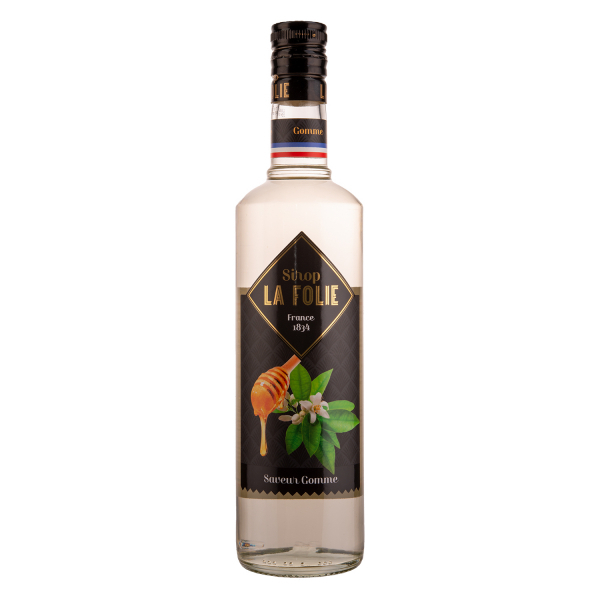 It has it\'s own refined taste which combines well with anise. Ich habe das mit Absinthe Montmartre und Nouvelle Vague und schmeckt sehr gut. Macht das geschmackt schoen rund. Es ist viel praktischer als zucker und wasser tropfen.